How’s the weather in Jaco Costa Rica? 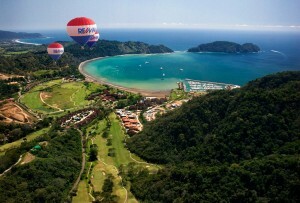 Costa Rica weather is a common factor as people consider a vacation or move to Costa Rica. One thing is certain, weather affects us all! 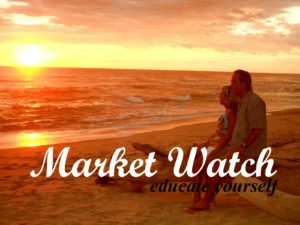 When pondering the perfect vacation rental or real estate investment, it is key to understand the Central Pacific, Costa Rica weather patterns. Costa Rica has two distinct seasons: rainy season and dry season. Rainy season begins in May and lasts through November. They don’t call it “green” season for nothing! During this span nature comes alive and vibrant colors paint the landscape. The mountains and jungle surrounding the Jaco Beach area showcase lush flora and abundant wildlife. The dust and dry disappear and the temperatures drop slightly. Rainy season is actually an amazing time to visit or spend extended time on the Central Pacific coast of Costa Rica. Many vacationers and expats are cashing in on to the rainy season secret. The average high temperature for Jaco Beach, Costa Rica is 86 degrees Fahrenheit during rainy season. The average low is 71 degrees Fahrenheit during these 7 months. There’s nothing like watching a soft rain and feeling a cool breeze on the balcony of a hilltop retreat. Often the mountain locations offer cooler temperatures than the beachfront. For those seeking a peaceful home, yet close to everything, it’s time to find solitude at a higher altitude.The beachfronts are also a bit cooler during rainy season for those seeking sea and sand. Many people are concerned when they hear the term “rainy season.” However, there’s no need for concern. 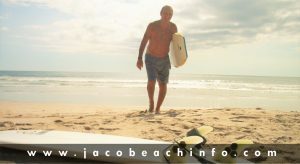 In the Jaco Beach area, there are normally 6 hours per day of May-November. A majority of the days are perfect with partly sunny skies and enough cloud cover to help cool everything down. On average, Jaco, Costa Rica has a range of 2 to 6 inches of rain per month during rainy season. Yes, there will be some days when the heavens open, but there isn’t a massive storm every day. The skies are often blue during the day and there is more than enough time to enjoy outdoor exploits. In this past year’s rainy season the majority of rain fell during the night hours. Falling asleep in a rainforest or beach home with a tranquil rain is actually quite relaxing. Real Estate Info? Dry season begins every December and continues through the end of April. This period of time is also referred to as summer or high season in Costa Rica. During these months Costa Rica gets little to no rain and the skies are a vibrant blue. The temperatures are higher during dry season with an average high of 90 degrees Fahrenheit and an average low of 74 degrees. Sun. Fun. Clear Skies. The Jaco, Costa Rica summer months offer days full of sunshine and unlimited opportunities for outdoor exploration and relaxation. December begins the “high” season and there is approximately 1 inch of rain during the entire month. During January, February, March, and April it is normal to experience less than an inch per month. Many expats and second home owners aren’t looking for full-time retirement or living in Costa Rica. As U.S. and Canadian snowbirds fly in for vacation, property owners have the chance to cash in. Dry season provides homeowners the perfect opportunity to tap into rental income. Jaco, Costa Rica is a prime vacation spot for international and Costa Rican vacationers, so renting during the December to April months can garner tremendous return on investment. 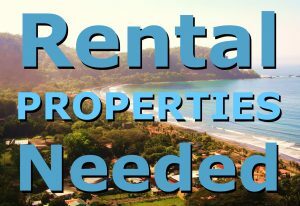 Buying rental property in Jaco Beach is an excellent option since occupancy is high and rental rates increase significantly during the high season (Christmas to Easter). Contact us to explore some of our best real estate options with income producing potential.